During the Salon Nautique Paris we will be showing all our recent products (RS Zest, RS CAT14 and RS21) and many French best sellers like the RS Feva, RS Quest and the RS500. Visit the beautiful and romantic city of Paris and combine this with visiting us at the boat show. This year we began full production and since then it has been an overwhelming success. Sailed by families, schools and clubs with more crew space and practical, enjoyable features it is creating fun for everyone. Singlehanded or with two/three kids on board. Sailing School owners and Instructors love the practical design solutions. 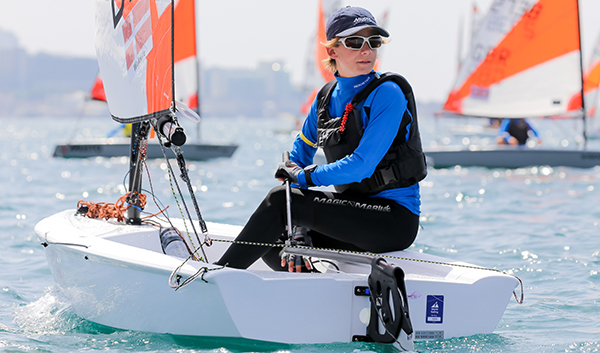 Rotomolded polyethylene construction makes the RS Zest almost maintenance free – this is a boat to get you onto the water and into the wonderful world of sailing. After the launch of the RS CAT14 at the Salon Nautique in Paris last year, more and more centres in and outside of France are selecting the RS CAT14 as the pathway Catamaran class. This boat takes the enjoyment and handling associated with beach cats to a new level. Stiffness and balance defy the cost-effective durability of the RS CAT14’s construction – making the boat perfect, not only for training and recreational sailing, but also as a true performance pathway class. 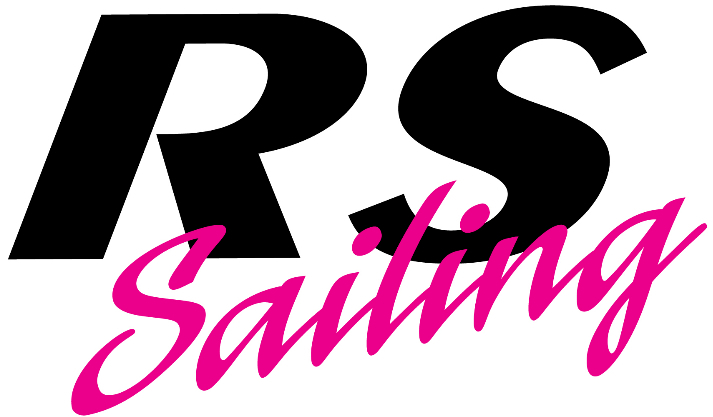 RS Sailing has made big and exciting steps towards new ways of participation in our sport through the launch of the RS21. With its modern design with fantastic features and eco-friendly solutions the RS21 is the only keelboat on the market really prepared for the future sailing concepts. The iconic design has appealed to people worldwide.Fleet initiatives are popping up from Norway to Italy and from Spain to Estonia. In 2019 and 2020 more and more league racing organizations will have the RS21 on the start line. Mainly as this boat is specifically designed for fleet ownership, appealing for the eye, easy to maintain and a huge retreat to sail. It is no surprise this boat is chosen by the USA National league racing organization, nominated by many yacht awards around the world and winner of the SAIL Magazine Best Boats 2019. The RS Tera is a fast and exciting 21st century single-hander that looks cool and makes sailing addictive. 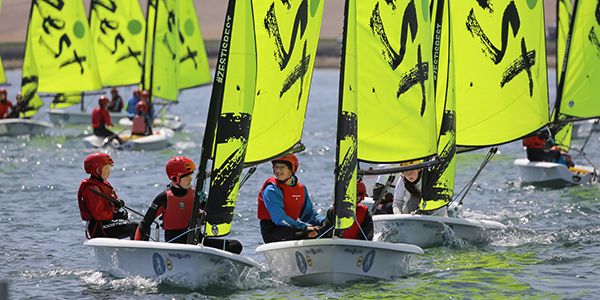 From entry level to international competition the RS Tera gets kids hooked on sailing. And that’s exactly what we want. 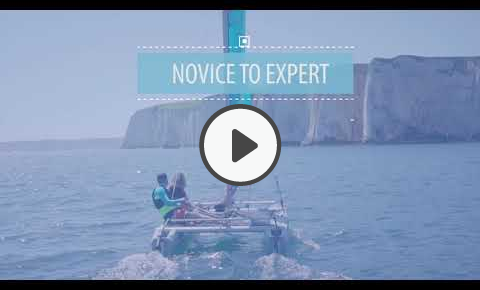 This new version is packed with features that make sailing safe and easy. It comes up dry from a capsize. It’s quick and simple to rig by youngsters. It’s tough and stiff. Two sail sizes mean small novices and experienced teenagers love the RS Tera equally. Join the class with the World Championships in festival style in Sweden (2019) and South Africa (2020). 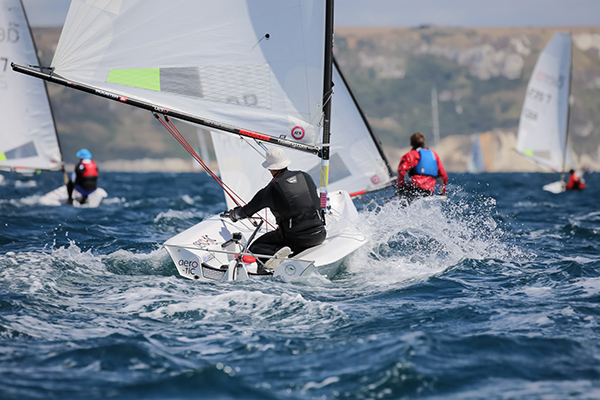 205 RS Aeros representing 16 nations came to Weymouth and Portland UK for the Class’ 2nd World Championship. 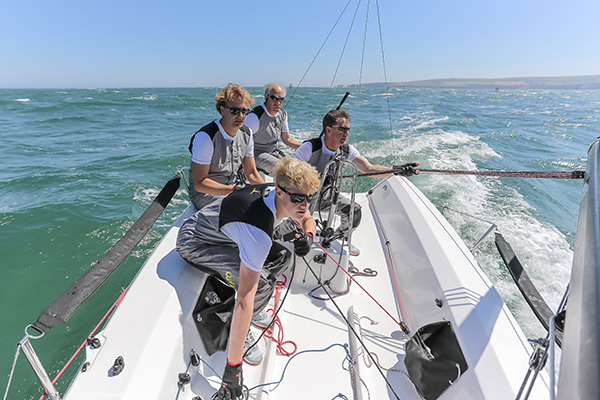 Racing over 3 fleets RS Aero 5, 7 and 9 and sharing the week with the 170 boat RS Tera Worlds made this week a huge start to the 3 week long RS Games. It was a huge success and the highlight of the year for the fleet. In just four years the RS Aero is firmly established, with 110 RS Aero fleet racing events happening worldwide in 2018. Do you have a fleet at your club? Or a class association in your country? Get in touch to hear what fleet deal possibilities there are so you can join the most exciting single-handed international sailing class. While sailing RS boats we have all made friends, met partners and introduced families to it all. Sailing in one of our classes comes with communities with vibrant lifestyles of competition, camaraderie and sailing excitement. 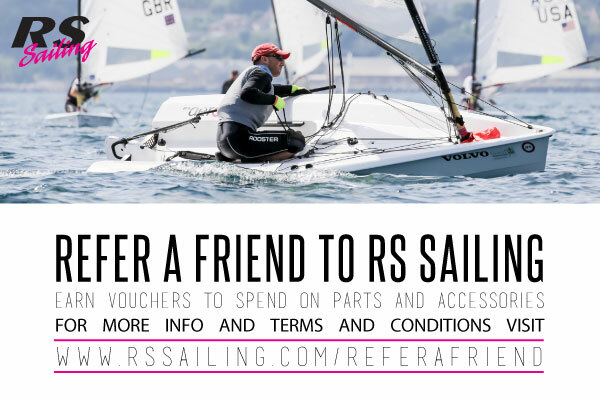 You can benefit from inviting your friends to join owning an RS boat and earn up to €350 on credit for spare parts and accessories for your boat. There is an RS for everyone - one-design at it's best means the best sailors normally win, but everyone has a good time. Let your friends join! To find out more or apply for the Refer a Friend deal click here.